Far sooner than most people realise, the genetics revolution will transform the world within and around us. Although we think about genetic technologies primarily in the context of healthcare, these tools are set to change the way we make babies, the nature of the babies we make and, ultimately, our evolutionary trajectory as a species — and we are not remotely ready for what’s coming. Yet we must be, to optimise the benefits and minimise the potential harms of genetic technologies. Scientists are now able to manipulate biology to a previously unimaginable degree. In the past year, we’ve seen two female mice having their own babies, dramatic increases in the precision of gene-editing tools, and the birth in China of the first gene-edited humans. As this science advances exponentially, however, the regulations guiding how it should best be used are struggling to keep up. 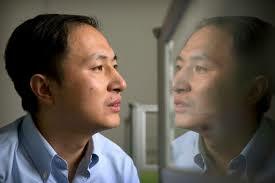 If the applications race forward without appropriate guard rails, the danger increases that more scientists like He Jiankui, the Chinese biophysicist who genetically altered two girls, will put people’s health at risk. But if the regulations are hastily written before the issues are clear, are too strong or are not flexible enough, many people who would otherwise have benefited from applied genetic technologies will be condemned to unnecessary suffering or even death. In response to this challenge, a group of high-profile scientists and ethicists called this month for a moratorium on heritable human genome editing until an international framework can be established. And, last week, a World Health Organization committee — on which I serve — proposed an international registry to track heritable human genome editing research and applications. But while the idea of a moratorium is emotionally appealing, it may not be the best way forward. Without an enforcement infrastructure in place it might at best restrict the actions of the more responsible scientists, many of whom already work within legal restrictions. Worse, a moratorium would create a new interest group vested in the status quo and could become a permanent ban forestalling life-saving treatments and pushing researchers underground or to more permissive jurisdictions. The alternative, however, is not to do nothing. Instead, we must articulate the core principles we hope to guide our use of heritable human gene editing and begin applying them immediately. The first principle must be due care. Anyone doing work that would alter the heritable genetics of another person or potential person must ensure they are not putting the recipient’s health at undue risk. Because there are as yet no clinical applications of heritable human genome editing that yet clear this hurdle, it would be irresponsible for the time being for anyone to proceed with such applications. A second principle is global coverage. While some countries such as the UK have well-considered regulatory structures overseeing human genetic engineering, other societies have nothing. To avoid creating a potentially dangerous medical tourism market, every nation must develop its own regulatory guidelines based on both international best practices and local traditions and values. Societies with robust regulatory infrastructures can help others fill any regulatory vacuum. A third is radical transparency. Given that people’s lives are at stake, every effort should be made to forestall the dangerous secrecy that characterised Mr He’s work. Anyone making gene edits to human sperm, eggs or embryos should register this activity in the type of public registry proposed by our WHO committee. Genetic technologies touch the source code of what it means to be human, so how these tools are applied anywhere is rightfully everybody’s business. To bring as many of us as possible into this conversation, we must urgently launch a global, species-wide education effort and inclusive public dialogue on the future of human genetic engineering. This process must inform global norms eventually to underpin international regulations. Although many scientists and ethicists are working hard to establish international guidelines, this is not enough. If a few even extremely well-intentioned specialists unleash a human genetic revolution that will touch almost everyone else and ultimately alter our species’ evolution without informed and wide early input, the backlash against this technology will overwhelm its monumental potential for good. Before the applications of these technologies go fully mainstream, we have a brief moment to articulate and translate into action a set of values that can help us navigate the almost unimaginable opportunities and very real challenges of the genomics revolution. For the sake of our future, let us not waste it. Jamie Metzl is a member of the WHO expert advisory committee on human genome editing and the author of Hacking Darwin: Genetic Engineering and the Future of Humanity. The views expressed are his own.